If you have applied for social security disability benefits on behalf of yourself or a dependent and been denied Social Security benefits, our legal team is available to help you through the appeals process in the Olympia court system. You’ll need to make an appointment as soon as you are notified that your benefits have been denied. You have only sixty days in the State of Washington to file an appeal after a denial letter has been sent to you by the Social Security Administration. Our team will file a request to have your claim reconsidered, or a request for a hearing before an administrative judge if necessary. Our legal team will handle supplementing your case record and will appear at the hearing, if one is necessary. In the past, we have helped obtain benefits for adults with post traumatic stress syndrome and other mental disorders, fibromyalgia, inner ear disorders, back, hip, and knee problems. We have also helped obtain benefits for children with attention deficit disorder and other disabilities. 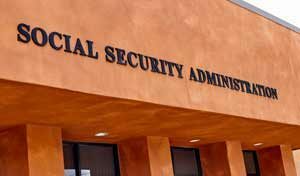 Payment for handling rejected Social Security Claims is on a contingency only basis in these cases – we receive nothing if the Administration Board continues to deny you benefits. Call our office today at (360) 325-4553 to setup an appointment to discuss your case as soon as possible.